What Has Happened To Prosperity? R.J. Rushdoony: 00:02 What is happening to prosperity? This is R.J. Rushdoony with a report on our threatened freedom. All over the world the post-World War II prosperity is steadily giving way to serious and deeply rooted economic problems. Not too many years ago, much was said about the economic miracles in west Germany. After World War II, Chancellor Erhard, influenced by the economist [inaudible 00:00:32] led Germany back in to a freer economy and into remarkable prosperity. R.J. Rushdoony: 00:38 Rising out of the ruins of the war, Germany soon became a very powerful economic force and a prosperous country. Now however, the Germany economy is in serious trouble and its outlook is bleak and unpleasant. The reason for this amazing decline is readily apparent. The Germans have sought to outdo other European nations in their health, old age and welfare programs. As Alfred [Zanker 00:01:09] recently pointed out and I quote, “A wage earner gets six weeks full pay while ill. Then gets 80% of normal salary.” German workers get a five week paid vacation and this may soon be extended to six weeks. Absenteeism is up to 8.4% of scheduled work time. It is 3.5% in the United States. R.J. Rushdoony: 01:36 Great numbers of foreign works have come in to do work which Germans will not do. In fact, the foreign worker from the Mediterranean world is a growing factor in the populations of Germany, the Netherlands, Sweden and other countries. Just as illegal aliens are here in the United States. R.J. Rushdoony: 01:58 As a result of all this, west Germany is in trouble. Two key factors are evident in the German economic problem. First, welfarism has grown so rapidly that it has become an economic drag. Welfare education and the bureaucracy have grown to the point where they now command 47% of the nation output. Second, the work ethic is gone or at best, declining. The mood is to relax to play, not to work and produce. Without a strong work ethic no nation can long be strong. R.J. Rushdoony: 02:37 Having said all this, we must then add that what is happening in west Germany is also happening in the United States, Sweden, Britain and everywhere else. Statism and welfarism are growing and morality and the work ethic are declining. All these things add up to economic woes. To have a flourishing economy we do need sound money and we do need a health development in technology. Important as these things are, they are not enough. What is further needed is a sound moral foundation and a work ethic. Lacking these things, both an economy and a nation will decline and freedom will also wane. 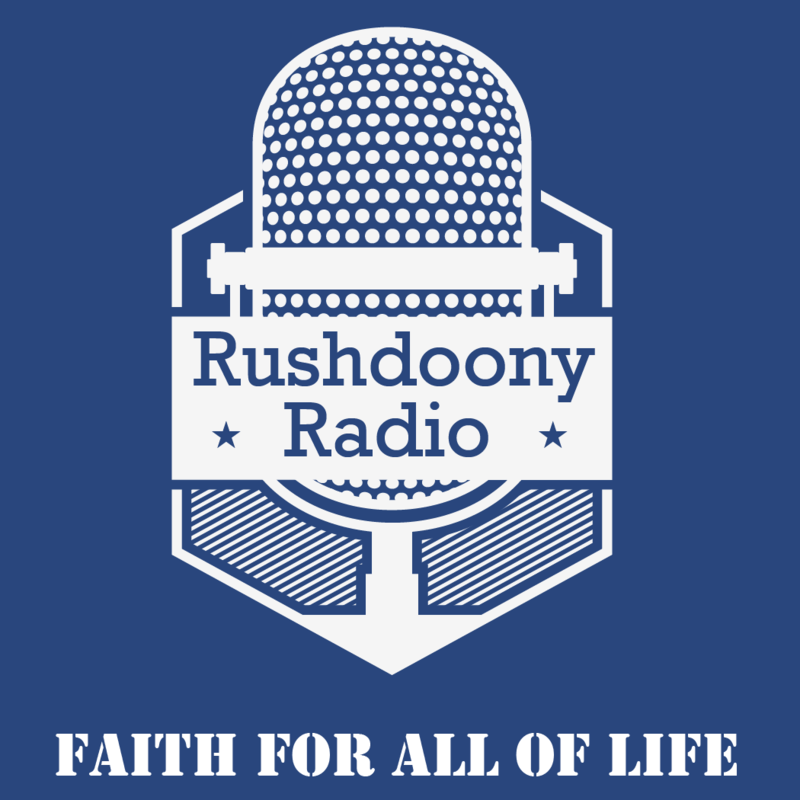 R.J. Rushdoony: 03:25 Throughout history there has been a real connection between a work ethic, morality and freedom. They go together. We live in a world of causality, not of happenstance. To be free we must be responsible, godly and productive. Like all other things, freedom has a price. This has been R.J. Rushdoony with a report on our threatened freedom.